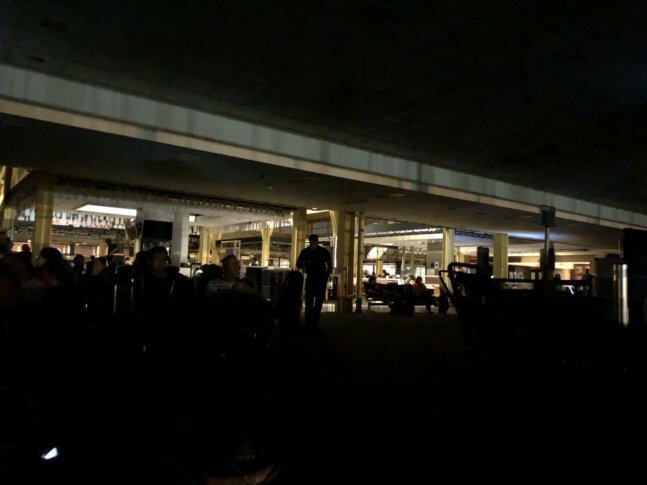 Officials are still investigating the cause of a power outage that plunged much of Reagan National Airport into darkness Wednesday night, but power was restored shortly after 11 p.m. See photos. WASHINGTON — A power outage plunged much of Reagan National Airport into darkness Wednesday night, though it was restored shortly after 11 p.m.
Charles Penn, a spokesman for Dominion Power, said Thursday that an underground equipment failure was the culprit. The outage affected air traffic control. The airport tweeted around 10:40 p.m. that flights were operating but that boarding and deplaning was slow since the power outage was affecting mechanical systems. One of the generators did start smoking at one point, bringing firefighters to the scene, but it was resolved. “Dominion Power is working understand the root cause of that power disruption,” said Andrew Trull, a spokesman for the Metropolitan Washington Airports Authority, who added that Wednesday’s loss of power was “an absolutely rarity” for the city’s main airport. On social media, passengers wrote about being personally handed their luggage by airport personnel due to the loss of baggage carousels. Others tweeted about having to navigate a busy terminal in the dark. WTOP’s Alejandro Alvarez and Keara Dowd contributed to this report.